ADI uncovers the reliable, meaningful and actionable data you need to see a clear path forward and to create positive change. A science-based approach for uncovering the information you need to create positive change. Information is power, but do you have the reliable and actionable information you need to harness that power? Effective workplace surveys can give employees a voice, uncover improvement opportunities for managers and leaders, and take the pulse of a company’s entire culture. Yet getting the right information is only the first step. Improvement comes through knowing how to interpret the survey data and what you do next. ADI surveys are unique—a science-based approach that delivers critical data that can be translated into coachable action plans for people, systems or processes. Your business and the performance of your people will improve when you gather and act on the information that is most important to your company’s success. 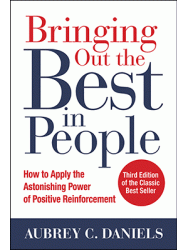 Understand the people, processes, and systems of your organization and areas for improvement. Uncover a leader's effectiveness in working with others. Ensure that your organization is safe by design and not safe by accident. Address unique organizational needs important to achieving business and performance goals. A leader’s Intentions are not enough when it comes to having the desired impact. ADI’s Precision Leadership Survey helps leaders to better align their impact with their intentions. Senior vice president David Uhl describes this streamlined and highly efficient survey process and how it can and should be used as a coaching tool—leading to leaders improving their dialogue and interactions with direct reports.